The current labor market is tight (according the Bureau of Labor Statistics, the unemployment rate is down to 4.8 percent as of January 2017), and employers continually struggle to source and capture qualified candidates. The main factor contributing to capturing candidates? Application abandonment. According to CareerBuilder, up to 60 percent of job seekers abandon online job applications after starting them due to the application length or complexity. 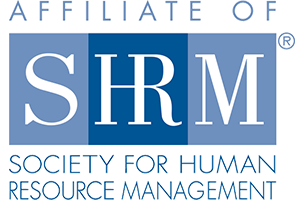 Society for Human Resource Management (SHRM) reports that organizations suffer loss of talent, bad reviews from candidates "frustrated with the process" and high costs associated with CPC recruiting methods. It seems that traditionally, organizations feel that a lengthy and involved hiring process (read: application) will weed out unqualified or apathetic job seekers, while favorable candidates will persevere. A CareerBuilder survey on the topic suggested that this is true: almost 50 percent of employers believe a lengthy application process is good because it eliminates bad candidates. Unfortunately, the reality is the opposite is true. In today's job market, candidates know their worth and value ease of access. They view lengthy application processes as a waste of time, and their tolerance is low. Ensure your application platforms are mobile optimized - the length of an application process can be cumbersome, particularly if the platform being used does not have responsive design features. Content and length of the actual job description are big influences on the applicant conversion rate. A study found that the most successful application forms had job descriptions that were between 250-2000 words, which delivered conversion rates five times higher than job descriptions of less than 250 words. The solution to improving the application process and capturing your target audience can be summarized into one word: streamlining. This can be accomplished by removing the fluff questions in your application and limiting the number pages or screens applicants need to navigate through the process. A study from Appcast reported that recruiters can increase the number of candidate completed applications by up to 365 percent simply by reducing the application process to five minutes or less. Think about what information is necessary to have from an applicant: name, contact information, and their resume. Having several pages of questions as part of the application process in an age where almost 90 percent of job seekers are using mobile devices to apply will most certainly work against you. Ensure that your recruitment efforts are invested wisely, and capitalize on the resources you have at hand by educating your staff on how to streamline your application process.